Brasilia, the extraordinary new capital of Brazil, was designed, planned and built in the late 50s to early 60s. The futuristic vision of its modern architecture is often called ‘utopian’ by visitors of the capital. Its utopian reputation is due in part to the amount of green space that the city has. 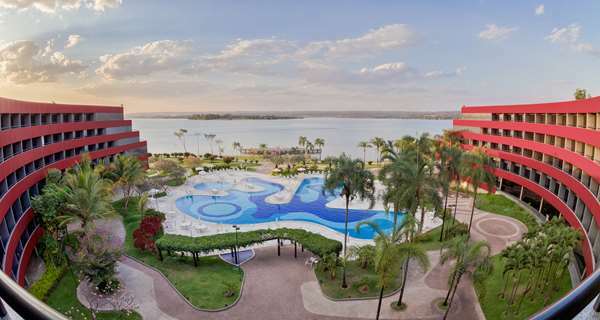 You will quickly find that residents of Brasilia are always jogging around Brasilia’s many parks or enjoying the vast refreshing waters of Lake Paranoá. Any Brasilia tourist information booklet will tell you that the city is shaped like a giant bird. The body of the bird is formed by the Eixo Monumental (Monumental Axis), a huge green space that holds most of the city's important buildings like the Palace of the Arches; it’s almost like an immense display case for the wonders of the city. Book one of our 4 star hotels in Brasília for discovering a city that needs to be seen to be believed. You will find that much of the sightseeing of your trip is based around the exploration of the Eixo Monumental. If you’re a fan of modernist architecture you can’t go wrong in Brasilia. At the far end of the axis is Three Powers Plaza, where the governmental and legal buildings are held. The National Congress, with its huge dishes, is an interesting building to look at both inside and out. The Palácio do Planalto, the president’s administrative building, is also held in this Plaza. One of the key things to do in Brasilia is pay a visit to the Cathedral, a stunning example of a modernist religious building. The Templo da Boa Vontade is an interesting piece of interactive architecture, its spiral walkway attracting many visitors, in part to look at the crystal that sits at the top of the pyramid. The Presidential home, the Palácio da Alvorada, is another breath-taking building that sits on the edge of Lake Paranoá. Our 4 star hotels are only a ten minute walk from this monument. You can fly into Brasilia’s Presidente Juscelino Kubitschek International Airport. It is not far from the city centre by airport standards and there are regular buses between the two. It’s also possible to hire a taxi from the airport. Once you’re in Brasilia transport is fairly easy as long as you don’t plan to walk! Brasilia was designed with cars in mind so it’s almost impossible to navigate on foot. However, there are buses and a metro system to solve this problem or you can hire a car to see Brasilia as it was planned. 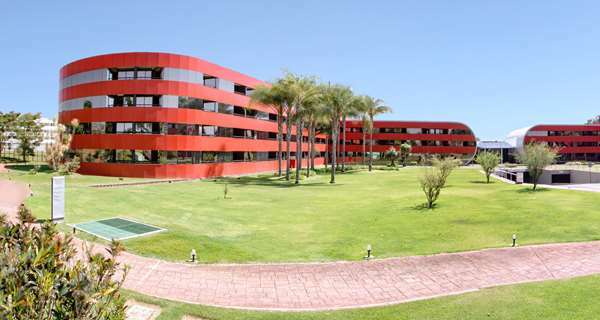 As our luxury hotels are located in the heart of the capital, they provide an easy access to the Brasília Metro.